It is without a sliver of a doubt that the software industry has revolutionized the world; it has automated tasks, created connections and made it possible for people to work in a variety of ways that were previously thought of as impossible. The effect of software in the digital display management cannot be gainsaid and it has transformed the whole industry as a whole, more so with the advent of turnkey cloud-based solutions. Previously, if you needed to manage your digital display software, say to change the content, say update your POS displays with a new offer, you had to call the vendor to get the job done on your behalf. This was due to the complexity of the systems, which required experts to manage and run on your behalf. This was not only cumbersome, but it also cost you money as you more often than not had to pay for these services out of pocket. That was then, this is now. In this day and age, you have such a number of options available for you if you need to install such a solution that you are likely to be spoilt for choice. However, this need not be the case. In this article, we will discuss what you need to watch out for if you want to have a digital signage solution that speaks to your needs and is within your budget. The fact that we have reached this point is a good sign that you have finally decided to take a leap into this amazing world of digital signage served as Software as a Service, SaaS. This model is designed to allow you the customer to be able to manage your digital displays through the internet, without having to invest in the computer hardware and software that is necessary to get the job done. This means that you have the potential of setting up your display system on your own from anywhere in the world knowing pretty little about how the system works. This solution is designed to be as intuitive and user-friendly as possible and that is why this cloud-based solution is the way to go for anyone who wants to get up and running with their digital adverts in zero time. These solutions come in different price offerings and it is important at the outset to know which of the available solutions works for you. Before we proceed any further, it is important to note that the cost of the solution depends on the number of features, which will come bundled with it. A simple rule of thumb is this; the more features the more money that you will have to fork out. There are two pricing models, which are currently in use with respect to Digital Signage Software solutions and they are worlds apart, in terms of structuring and the attendant costs. One model allows you to pay a flat fee, of say $200 and to add some extra money, say $250 to purchase the media player. This cost which comes to roughly $400 dollars, will have you set up a digital signage unit complete with the hardware and software required to run it.Afterward, you can pay an extended service fee of say $100 dollars per annum, if you need additional features. The second model, on the hand, will allow you to pay the flat fee for the hardware with options to pay monthly. Regardless of the type of model you choose, it is clear that it has become affordable for you to have a full turnkey solution, up and running, at minimal costs. 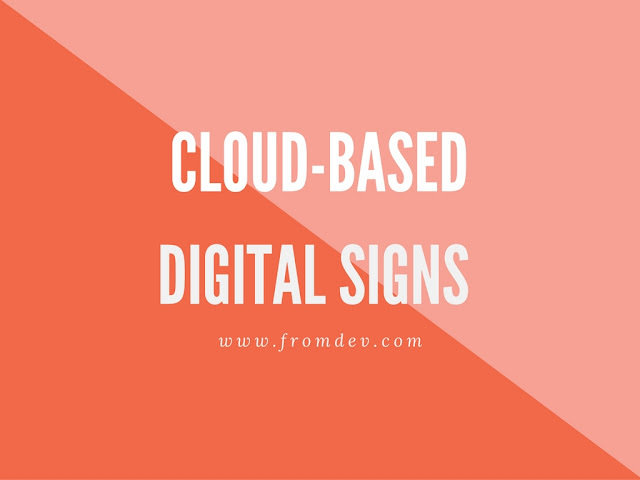 The features that come bundled in with SaaS digital signage software are also a key factor that you have to bear in mind when you are considering taking up such a solution. Some of the features that must come bundled with it include 24/7 support, which is mandatory as you need to have the experts take care of any situation as it arises, promptly. The features to watch out for include; the ability to remotely manage the device from anywhere and anywhere on any device, actually this is mandatory. The solution should come bundled with a number of templates, which you should be able to quickly and easily customize for your specific needs. You should be able to display images, video, URL banners, the display scroll bars and receive over the air software and template upgrades for the solution to be worthwhile. Set Up–The ideal solution should be easy to setup and luckily every service provider who is currently playing in this field has made it possible for you to manage this solution from the comfort of your phone, tablet or computer. The only condition being that you have access to the internet. The interface of most cloud-based digital signage service providers is designed to mimic the pages that you are already used to interacting with, namely social media pages. They have been deliberately designed for ease of use. Setting up the hardware is often as easy as plugging in your TV to the power outlet, the cabling is easy and you can DIY. This is the fun part, you see these solutions are often designed to play lots of media types including pdf, word, excel and PowerPoint documents so you can easily create them on your computing device. However, the process might be daunting to you if you have no idea of where to start. This is where the templates come in. These are pre-designed documents, which cover most of the scenarios that a normal retailer would like to use them for in their digital advertising strategy. These templates are easily customizable and all that you might have to do is to simply change the name field and the details to fit in with your business. Marcel Joseph is a Full Stack Software Developer who has spent the last 15 years developing custom software for Digital Signage Software solutions. He runs a blog SiAge where he shares his expertise on all things related to digital displays to his eager audience of 4 million monthly visitors.